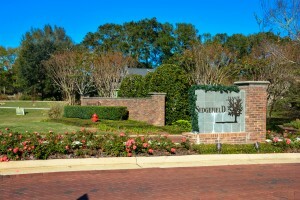 Sedgefield offers custom build homes in a quaint beautifully landscaped neighborhood. 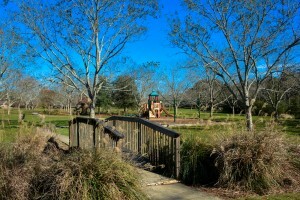 The main entrance is conveniently located on Hwy 13, only minutes from the shops and restaurants in Downtown Fairhope. This neighborhood is an ideal location for families with children for many reasons, one being that it is situated perfectly in between the local schools. Another is the great Kid’s Park with two separate activity sets and open common area. If you decided to make Sedgefield your home, your schools would be Fairhope Elementary, Fairhope Intermediate, Fairhope Middle and Fairhope High School. All 4 of these schools are less than a 4 mile radius from Sedgefield’s front entrance. These school are very desirable and they are a major factor when buyers search for a home. Sedgefield is found in the historic city of Fairhope, Alabama. Fairhope is a one of a kind place that for years has attracted people from all over the country to come to make her their home. It is a vibrant town that lies on the Eastern Shore of the Mobile Bay, Fairhope is well known for it’s artistic appeal and incredible sense of community. It will not take you long to notice the lovely flower gardens on every corner and the smiles from the local proprietors as they welcome you in. It seems like there is always something to come and be a part of in Fairhope. From the multiple Mardi Gras parades, to the Fairhope Arts & Crafts Festival in March, to the downtown New Year’s Eve Celebration and all that is in between, there is rarely a time when there isn’t a celebration on the horizon. If you feel Sedgefield would be a perfect fit for you and your family, Search Homes in Sedgefield and give us a call to schedule a showing. Smoke em if you Got em!!! Listing information © 2019 Baldwin County Association of REALTORS® MLS. IDX information is provided exclusively for consumers' personal, non-commercial use and may not be used for any purpose other than to identify prospective properties consumers may be interested in purchasing. Data is deemed reliable but is not guaranteed accurate by the MLS or Gulf Coast Experts Real Estate Team. Data last updated 2019-04-21T19:27:33.95.